Environmental Justice is the concept that major polluting projects should not have a disproportionate impact on minority and poor communities. Nuclear waste dumps, toxic incinerators, atomic reactors and other such facilities typically are located where there is cheap land, cheap facilities, and little organized opposition. Too often, this has been in minority and poor communities that have felt powerless to oppose corporate giants. In February 1994, President Clinton issued an Executive Order requiring federal agencies to consider environmental justice issues when issuing permits for new polluting facilities. Although as an independent agency the Nuclear Regulatory Commission was exempt from that order, then-Chairman Ivan Selin committed the NRC to implement the order. One result was a finding that the proposed Louisiana Energy Services uranium enrichment plant for Homer, Louisiana, violated environmental justice principles, and it became the first license applicant before the NRC ever to be denied a license. 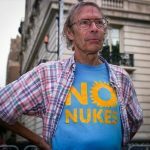 Reeling from that blow—after all, one denial in 45,000 applications might indicate a trend, the nuclear industry suggested to the NRC that it remove environmental justice from further licensing consideration. The result is a new NRC policy that attempts to do just that. 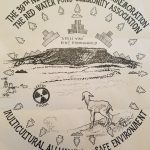 Here is background on the environmental justice issue as it applies to nuclear power along with current documents and periodic actions you can take to support environmental justice. In early 2004 for example, NIRS organized the sending of more than 700 postcard comments against the NRC’s proposed environmental justice policy; we will continue to fight this policy, and work to ensure environmental justice remains a major issue. For more on principles of environmental justice, visit http://www.ejnet.org/ej. Government Bows to Nuclear Industry Pressure by Gutting Its Environmental Justice Policy. NRC Strikes Down Environemtal Justice Claims and Bid for Licensing Hearing to Site New Reactor Unit at Grand Gulf. We encourage you to send comments in throughout the Spring!